Book lower cost car hire at Tangier Ibn Battouta Airport | Compare discounted SUV, van, MPV & estate rental rates for Tangier Airport. Book your car hire in Tangier Ibn Battouta Airport, and save money here, on next holiday automobile, estate, minivan or Sports Utility Vehicle booking. All our partner companies, offer their vehicles, at a lower than normal published rate, with standard breakdown, mileage, CDW and insurance cover as part of the deal. We use the following suppliers in Tangier:- Aircar, Alamo, Budget, Europcar, First Car, Locationauto, Sixt, Sovoy Cars and Thrifty. Drive with caution, as you will be sharing the road with horses, donkeys and bikes. Please adhere to the road speed limits in Morocco: 40km in the cities, 60km and 120km on the highways. Expect to be fined if you exceed these limits. If you do get caught you will be fined on the spot currently pay 400 Dirhams. Rent a Double Cab 4x4 for the desert, at lower rates. 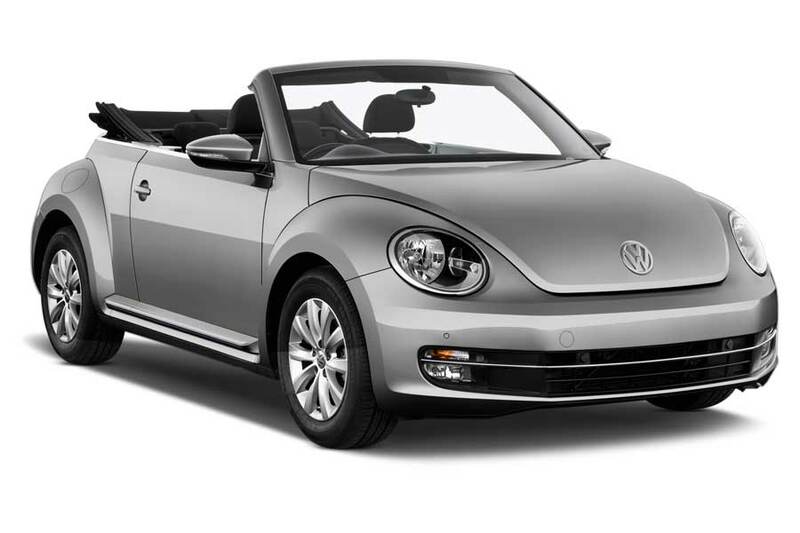 Cheaper rental rates for a Beetle convertible. Book budget vehicle rental prices for Tangier. Book a cheap rental rate on a Dacia Duster SUV today. Get a Renault Clio at a discounted hire price. A word of advice. Don't expect to be able to use your credit card everywhere, with the exception of some large hotels. Also, forget traveller cheques. On the plus side, ATMs, with English language options, are widely available.